I whipped up a batch of yummy smelling Pumpkin Pie Spice Play Dough the other day for some fun, sensory play. Here’s the super easy recipe! 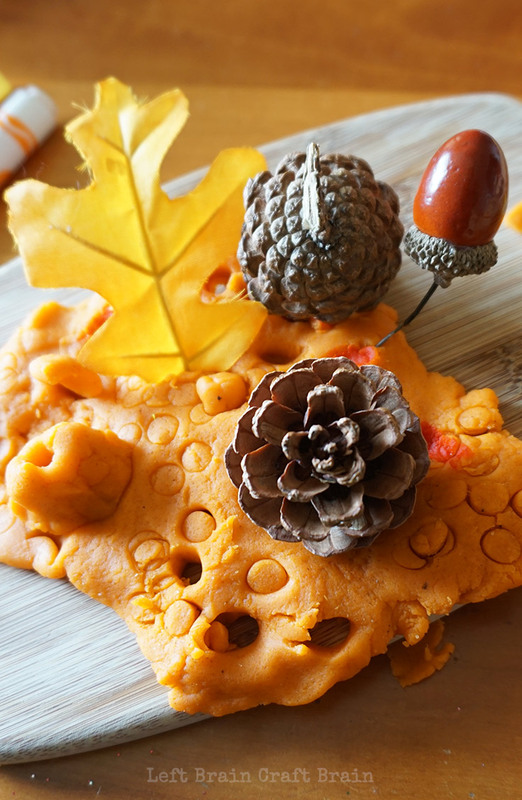 Try adding fall elements like acorns, leaves and pine cones for festive play. Stir in water and oil until combined. Add orange food coloring until a rich orange color is achieved. Once dough is cool enough to handle, knead dough until smooth.